I'm moving to a new office! I will not be able to post for a few days, but please keep visiting. I should be back Wednesday! 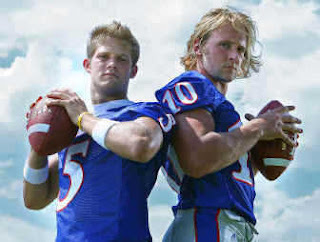 Todd Reesing and Kerry Meier are both taking aim at becoming KU’s starting quarterback this season. They are both talented and cute... aren't they? Nice to meet you Adrian Rubio! Browsing through Gabriel Blanco's website I found Adrian Rubio. Isn't he handsome? Julio Camejo in "Destilando Amor"
This Cuban actor makes me hate him every day, his character on the series is a terrible villain, but the good thing is that he is pretty good to look at. Cutie Freddie Rodriguez is joining the cast of "Ugly Betty". It will be great to be able to see him again on TV. Saulo Melo got a package! 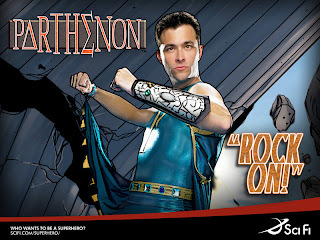 I've seen pictures of Saulo as the new Boy, but this one definetly goes beyond what I could dream. He certainly has what it takes to make me go mmmmm. Who is looking at her? I wonder if somebody is actually looking at Miss Universe 2004 Jennifer Hawkins in this picture. I know my eyes are looking somewhere else! 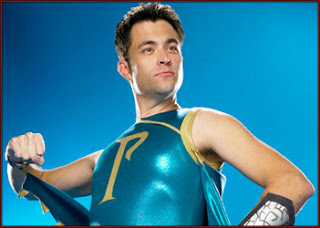 By now you know of my infatuation with spandex shorts and Tobey Maguire. Now when both things come together... I am in heaven! 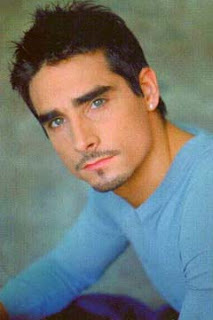 Their new single "Inconsolable" hits radio this month but Kevin Richardson will not be joining his former band mates. Truth be told, I really don't see a point on this reunion, but good luck to them. 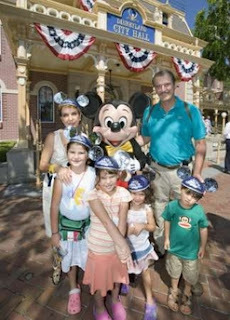 Mexico's ex-president Vicente Fox took his grandchildren to Disneyland. Call me crazy but there is just something wrong about our former First Lady wearing a Mickey Mouse hat. Charlie Sheen says that Denisse Richards, now his ex-wife, asked him to donate sperm for a third child. The worst part is that she send the request in writing! It would be great to have this kind of shows in KC! I have to say that although I don't think their act is worth winning "America's Got Talent" the truth is that it is great to see them perform. They have great bodies! 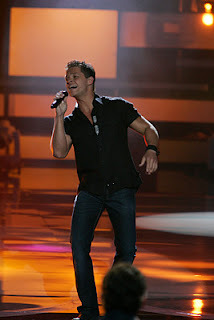 Well Jason Pritchett made it to the final 8. Next week we will have to support him again. I do believe that he is very talented... and cute! The Discovery Channel will have a new show called "Last One Standing" where we will have a lot of good reasons to watch. Not sure on what the theme of the show is, but... who cares! 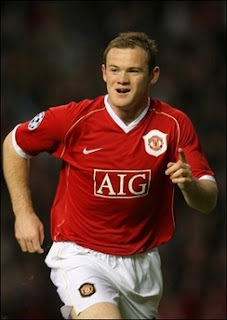 Manchester United's Wayne Rooney is not only a good soccer player but, as you can see, has a nice package! I can see that whatever Zac Efron found on his shorts is not that big. Let's take Jason to the final 8! 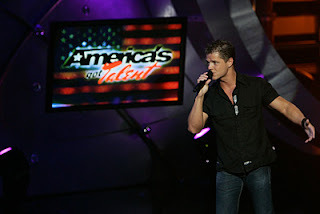 Our own Jason Pritchett is performing tonight as one of the final 10 for America's Got Talent. We have to take him to the final 8, so be ready to vote. The show airs tonight at 7PM on Channel 41 NBC. David with Derek and Alex... Awesome! David Beckham could make a great couple with Derek Jeter or Alex Rios ... don't you think? Elton John in KC - Sold Out! 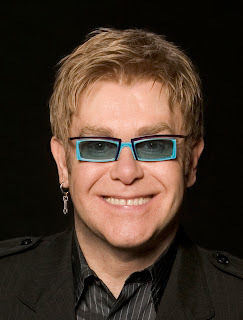 Elton John sold out the 17,000 tickets for his concert in Kansas City in 90 minutes. I know that for a lot of people that read this blog the name of Ernesto Alonso might not sound familiar. 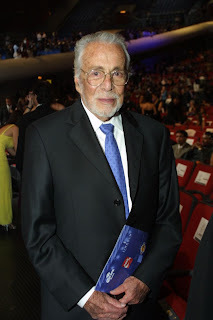 How ever he was one of the most successful TV producers in Mexico, a lot of the soap operas (telenovelas) made in Mexico during the decade of the 70's and 80's were produced by him. He was kind of our Aaron Spelling. He died this morning after a short stay in the hospital due to a pneumonia. He was 90 years old. I had the opportunity to interview him several times and he was always nice, accessible and friendly. There is no doubt that he will be missed and that Mexican TV is as popular as it is because of him. 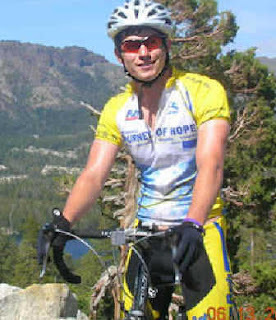 Brian Knop from Liberty, Missouri is riding 4,000 miles on his bike to help people with disabilities. At the end of his journey he will visit 12 states in 68 days. Brian is part of a group of about 90 people that are doing this Journey of Hope. For more details on the story and how you can help visit the Kansas City Star.